« I’m off to SU convention – and I’m swapping! Stampin’Up! have announced this fabulous special for the month of June. For those lovely ladies that host a SU party in this month there are added bonuses. When a party sales totals reach $650 Stampin’Up! 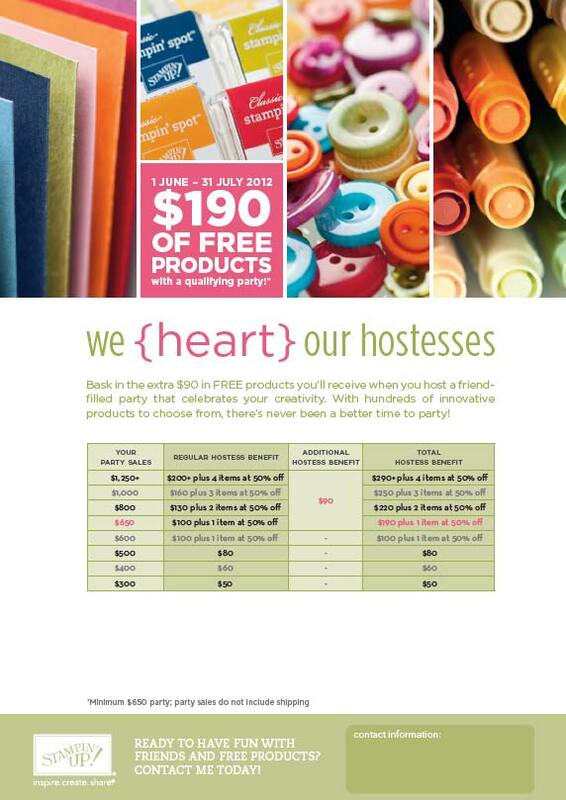 will give the hostess an additional $90 to spend! Wow! That’s a whopping $190 on free stuff. And just who doesn’t like free stuff????? And if you don’t wish to host a party scroll down for your special on being a customer. OK! When you attend a SU party or phone your order through to me and spend a minimum of $125 (not including postage) then you get FREE (that’s it FREE!) the stamp set Reason to Smile in either clear or wood mount. Your choice! and yes it’s FREE. Did I mention that fact???? So call me now to book your party or place your order. These specials are only for the month of June. 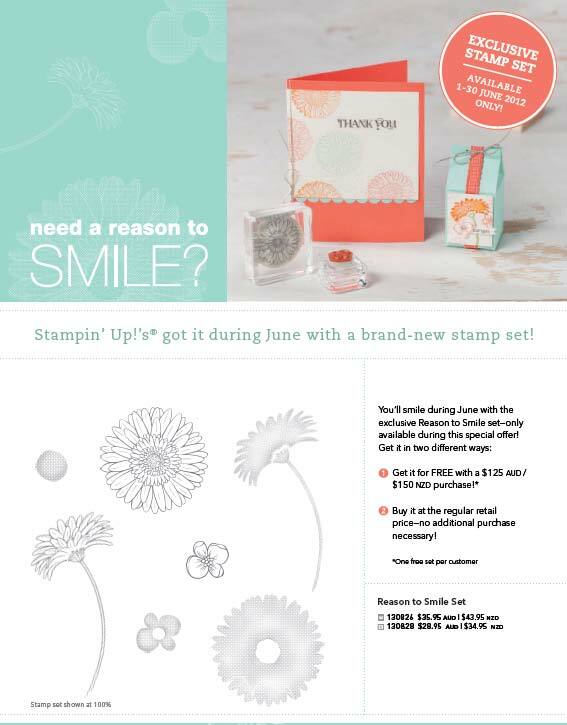 During June you can pick up this exclusive stamp set called Reason To Smile, and even better you can earn it for FREE with any order of $125! Don’t want to spend $125 just now? Then the good news is you can also purchase it. Details are below in the flyer. Becoming addicted to Stampin’ Up! You are not alone. There is help available. Want it all? – become a demonstrator. For just $169 you can join my team, The Bent Inklinations and either just enjoy a 20% discount on your supplies or building yourself a successful papercrafting business, working your own hours. For $169 you get to customize your own starter kit and the only obligation you have is spend $400 each quarter. AND there’s no exiting penalty. So! you tell me. What do you have to loose exactly? Call me on 0410 681486 and we can have a chat about how you can begin being a demonstrator right now.